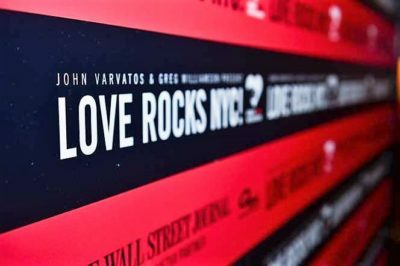 Fashion designer John Varvatos and New York real estate broker Greg Williamson have announced the third annual Love Rocks NYC benefit concert for God’s Love We Deliver. Love Rocks NYC will hit New York’s Beacon Theatre on March 7 with Whoopi Goldberg, Martin Short and special guests hosting. This year’s lineup will include Robert Plant, Sheryl Crow, Hozier, Buddy Guy and Billy Gibbons. The evening is also expected to see performances from Grace Potter, Taj Mahal, Lukas Nelson, Jimmie Vaughan, and many others. Since starting in 2017, the Love Rocks NYC benefit concerts have raised more than $5 million for God’s Love We Deliver. The New York-based charity provides life-sustaining meals and nutrition counseling for people living with severe illnesses. After beginning as an HIV/AIDS service organization, today God’s Love provides for people living with more than 200 individual diagnoses. For the last 34 years, the organization has provided all of its services free of charge. For more information and tickets, visit loverocksnyc.com.